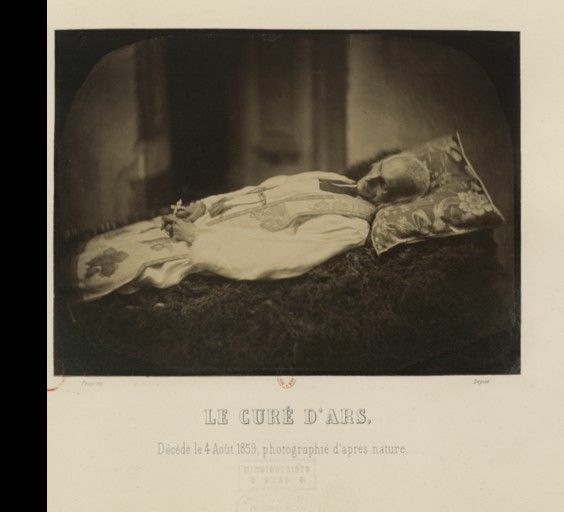 Terry at Idle Speculations has posted a collection of photographs of the Curé d'Ars after he had died in 1859. The photographs were taken by Camille Dolard using the wet plate collodion process invented by the Englishman Frederick Scott Archer. They are kept at the Bibliotheque Nationale in Paris.